Liz's Paper Loft: MCT Whatever Wednesday ~ Happy Spring! Hello peeps, it's Whatever Wednesday at My Creative Time! That means that we can do whatever we want, so I cam up with this mini spring banner. 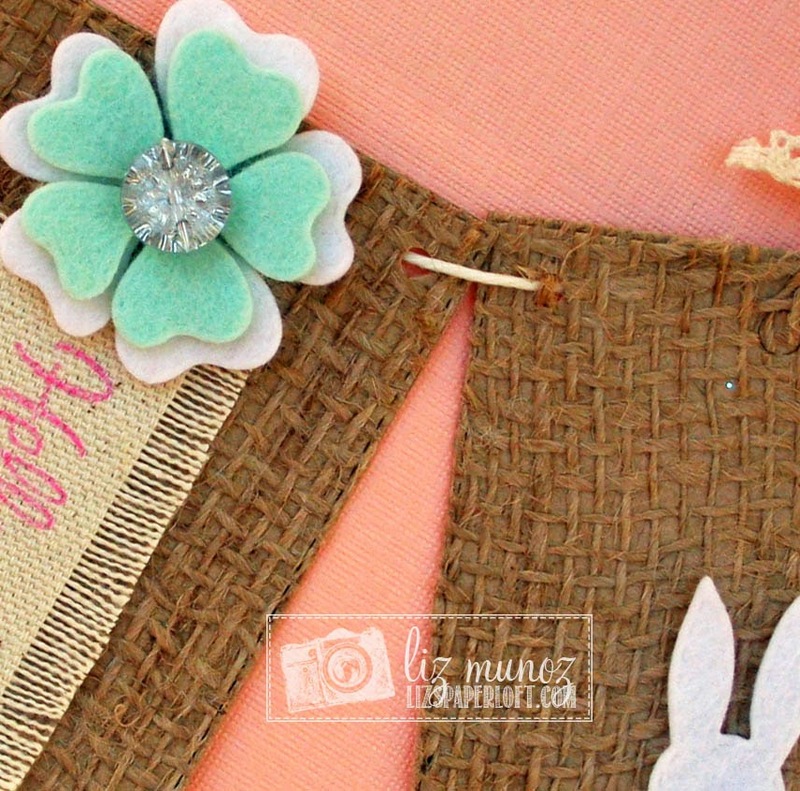 To create this banner, I first glued burlap to paper using basic glue stick. After it had dried I ran it through the Big Shot and the Tag Die with a shim. The hole for the tag didn't cut all the way through, which worked out perfectly, since I wanted the holes on the edges for the hemp to be strung through. I stamped the sentiment on canvas, the frayed the edges a bit. The bunnies and flowers are cut from felt and the tails are from pom pom trim. I think the bunnies turned out so cute! Don't forget to check out what my DT sisters at My Creative Time created! Cuteness to the MAX Liz!!! I love your banner!!! 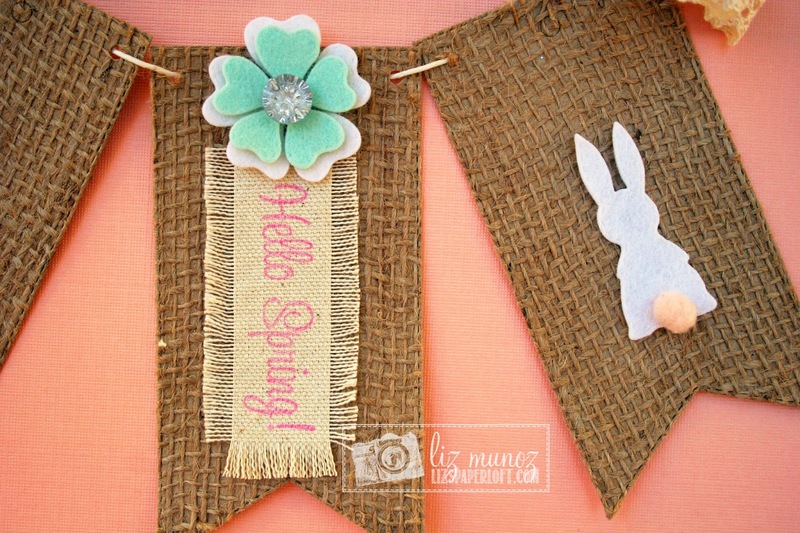 The textures with the burlap and felt and the great uses of the dies make this one awesome banner!!!! WOW that is a Gorgeous Banner Liz, love it. 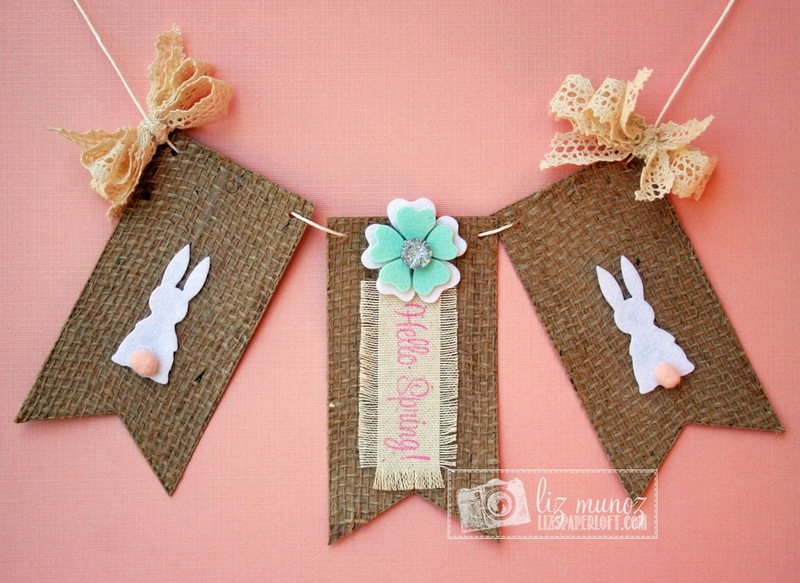 Cute burlap banner! Love the felt too!! Awesome job! OMG Liz how cute is your banner!! I love the shabby chic of it all and it couldn't possibly get any cuter than this and I love all the different materials you used to create it and girl you sure did one clever and creative job using all of Miss Emma's goodies. YOU ROCK!! 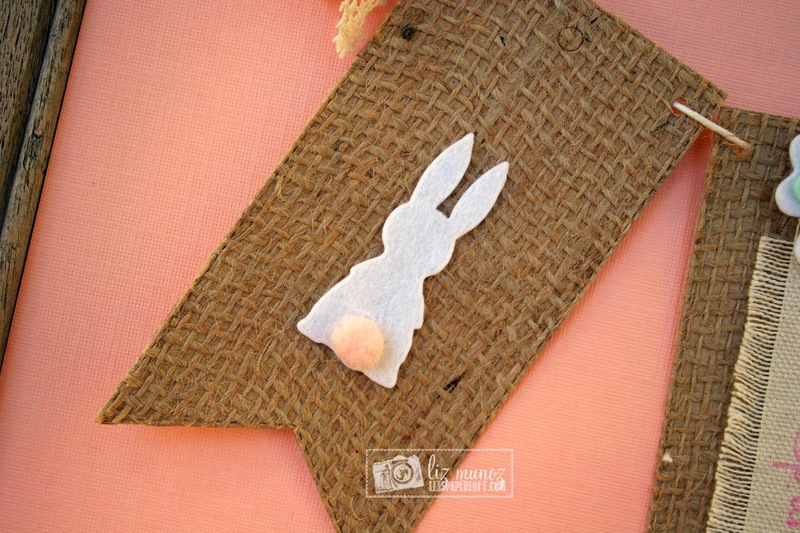 What a pretty banner and clever idea with the burlap! Sweet job! Oh Liz ~ I LOVE the texture of your banner!!! Its BEAUTIFUL!!! Every detail is so PERFECT as always! I love all of the different textures that you used. They look so good together. Great job! Liz, this is so, so sweet!!! I absolutely love it! Such awesome texture!!! This is so beautiful!! I love how you made your banner and stamped on the canvas!! Those little bunnies are too cute!! Hugs!